In mid-February, the devastating leak at California’s Aliso Canyon, the largest natural gas storage complex in the West, was sealed after months of releasing methane into the atmosphere. Although the incident was unsettling, to say the least, it was also unsurprising, given the age of the facility. The underground chambers were put into service more than 40 years ago, as more than 100 oil wells drilled in the 1950s were repurposed for gas storage. Also in mid-February, the federal Pipeline and Hazardous Materials Safety Administration (PHMSA) released a report on the May 2015 spill that fouled miles of California’s Santa Barbara coastline. The report cited the eruption of a corroded section of pipe just 2 ft long as the source of the 140,000-gallon crude oil spill. The pipe was installed 28 years before the spill, so yes, the pipe was old. But not that old. According to the U.S. Department of the Interior, half of the nation’s 2.5 million miles of pipeline carrying oil, gas and hazardous liquids are more than 50 years old. Aging infrastructure requires constant vigilance, smart planning and innovative solutions. Fortunately, the mindset in the industry has largely shifted from reactive to proactive, favoring preventive maintenance, reinforcing infrastructure and investment in new pipelines and technologies. Here are five developments worth watching. 1 Robotics: Smart pig technology for large-diameter iron gas pipelines has become more sophisticated with the introduction of intelligent machines that can not only detect stress points and breaches but also make repairs on the spot. Used in lines with a diameter of 36 in. or more, the robots inject sealants to stop leaks, which occur most often at joints. The cost of deploying the new technology, which is just being introduced in the UK, is offset by savings realized by not having to dig to fix a compromised pipe. 2 High-tech materials: Super lightweight polymer aerogels are being tested for application in the pipeline industry. Aerogels are applied in thin layers, or blankets, to improve compression resistance of steel pipes, making them more durable while also reducing the amount of steel needed in their fabrication. The material also has an insulating effect that increases oil and gas flow while at the same time reducing pipe corrosion caused by friction. Testing facilities for wholesale alternatives steel pipe are also coming on line. According to an executive at one testing facility, pipeline made of graphene-infused polymers offer “improved strength, stiffness and toughness, increased permeation resistance and enhanced fatigue performance” over steel pipe. 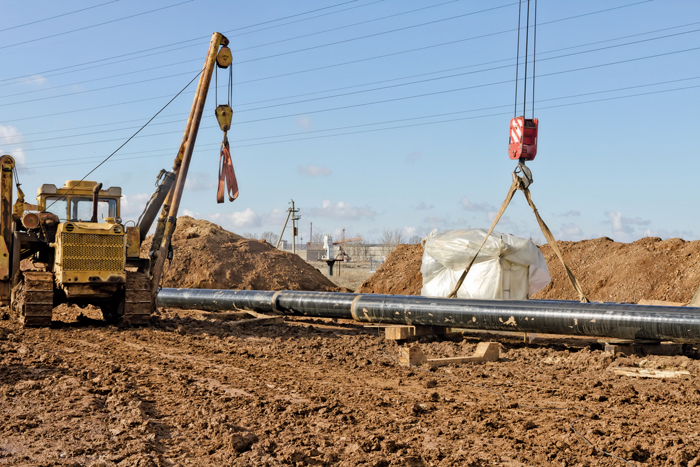 Maintaining aging oil and gas pipeline infrastructure is a major challenge, but the industry has developed a proactive mindset that favors preventive maintenance, reinforcing infrastructure and investing in new pipelines and technologies. 3 New pipeline construction: Domestic production increases in natural gas, crude oil and liquefied natural gas (LNG) have caused the industry to shift to an export rather than import model, which necessitates the installation of a significant amount of new infrastructure. A report by the American Petroleum Institute (API) notes that for 25 years starting in 1982, U.S. investment in oil and gas infrastructure (or “logistics and processing”) was based on an import model, with pipelines carrying foreign-produced petroleum products inland from the coasts. Emerging from the recession of 2008-2009, the industry began pivoting to an export model for natural gas, crude oil and natural gas liquids (NGL). As a consequence, investment has increased dramatically in the construction of new pipelines and other infrastructure to carry domestic product to the coasts. The API reports that capital investment in oil and natural gas infrastructure increased 60 percent — from $56.3 billion to $89.6 billion — from 2010 through 2013. The API projected that investments would average $80 billion a year between 2014 and 2020. It is fair to assume that the percentage of this investment dedicated to the installation of new pipeline will lead to the retirement of old, decaying pipelines. 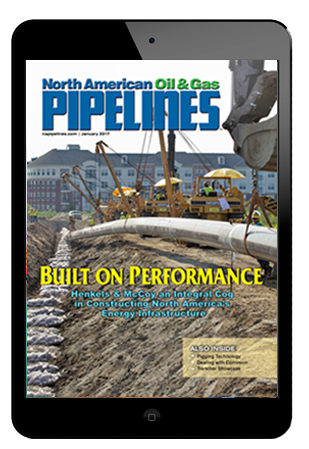 4 Pipeline coatings: The pipeline coating industry is growing rapidly, reinforcing existing networks. Epoxies applied to pipes’ exterior and flushed through their interior thwart the common problem of corrosion. It may seem terribly obvious, but this relatively simple measure is often overlooked, despite its potential to head off serious spills. 5 Concrete-weight coating plants go mobile: Concrete coating not only makes pipelines extremely durable, it is also used to achieve the appropriate level of buoyancy and high put-through rates in shallow-water pipelines. Given how heavy this type of pipeline is, shipping costs are typically very high. One company has responded by designing pipe-coating facilities that are constructed from modular components that can be trucked close to the pipe installation site. In one case, a mobile coating facility was constructed 155 miles from the pipeline installation site, while the nearest conventional coating facility was nearly 2,800 miles away. All of these developments are either recent or still in development, so their impact on the industry — and their potential to cure the ills of our aging infrastructure — has yet to be seen. At the very least, it is encouraging to see the effort that the industry is making now to ensure greater safety and efficiency in our nation’s vast and quickly growing pipeline network. 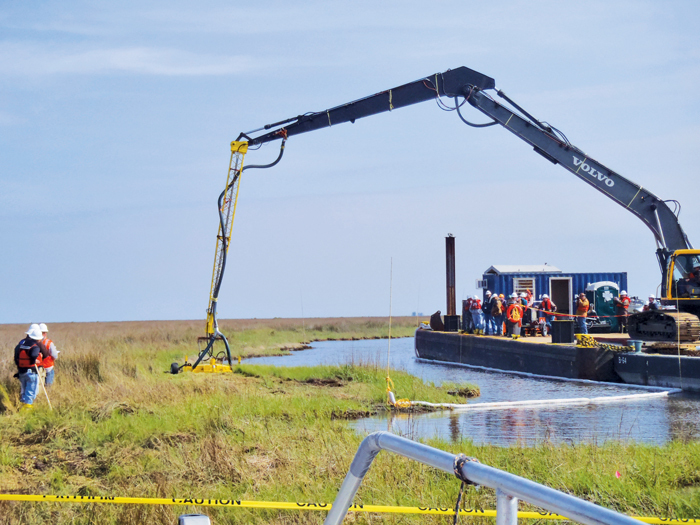 Charles Jones is the director of ecological services at Matrix New World Engineering’s Baton Rouge office, where he leads the company’s operations in the Gulf Coast. Jones holds a B.S. in Wildlife Conservation from Louisiana Tech University and has more than 20 years of experience in wetland delineation, Section 404/10 and Coastal Use permitting and mitigation bank establishment in the various locations within the Gulf Region.